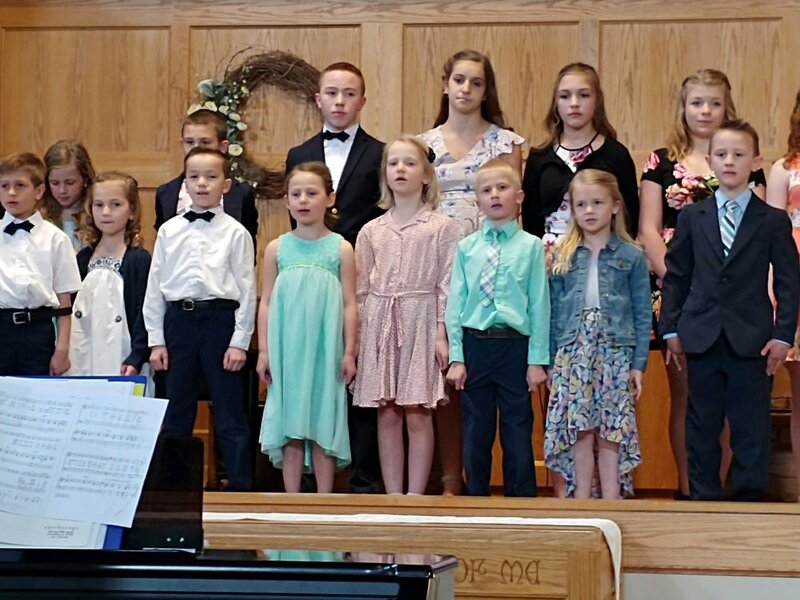 At this year’s annual spring program, 30 students from The Augustine Academy performed a wide array of sung chorale pieces, poems, and recitations on the theme “All Things New,” from Revelation 21. The songs were carefully selected by TAA Director of Music, Diane Skrobis, and many reflected the beauty of growth, in both the created order and daily life. Musical selections included classics like “Simple Gifts” and “Cumbaya,” performed by K-2 students, as well as South African praise songs and a recitation of William Shakespeare’s “St. Crispin’s Day Speech,” performed by 3-8 students. Local families, teachers, pastors, and wide-ranging guests from the community gave the students a standing ovation, before a time of fellowship that followed. And he who was seated on the throne said, 'Behold, I am making all things new.' Also he said, 'Write this down, for these words are trustworthy and true.' And he said to me, 'It is done! I am the Alpha and the Omega, the beginning and the end.'"